2017 aquatic invasive species (AIS) permits are now available. Call (360) 778-7975 to schedule an appointment to get your watercraft inspected. AIS check stations at Bloedel Donovan, South Bay, and Lake Samish open for the season on April 22, 2017. 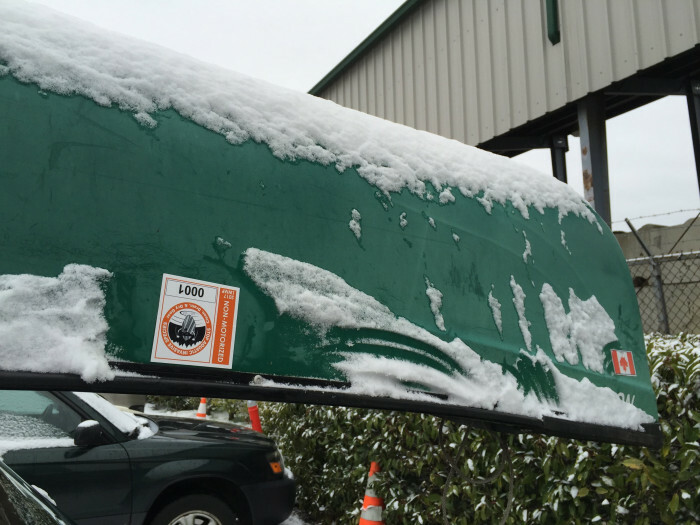 This year we’ll be operating pop-up check stations at Bloedel Donovan and Lake Samish starting in late March for anyone wanting to get their boats inspected early. Check this site for updates regarding our hours of operation. 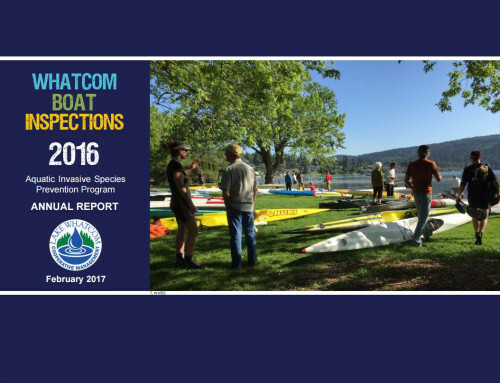 We’ve just released our annual report highlighting results from our fifth season of watercraft inspections to prevent the spread of aquatic invasive species to Whatcom County waters. 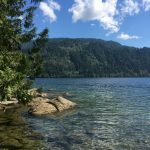 In 2016, we conducted a total of 9,571 watercraft inspections at Lake Whatcom and Lake Samish. 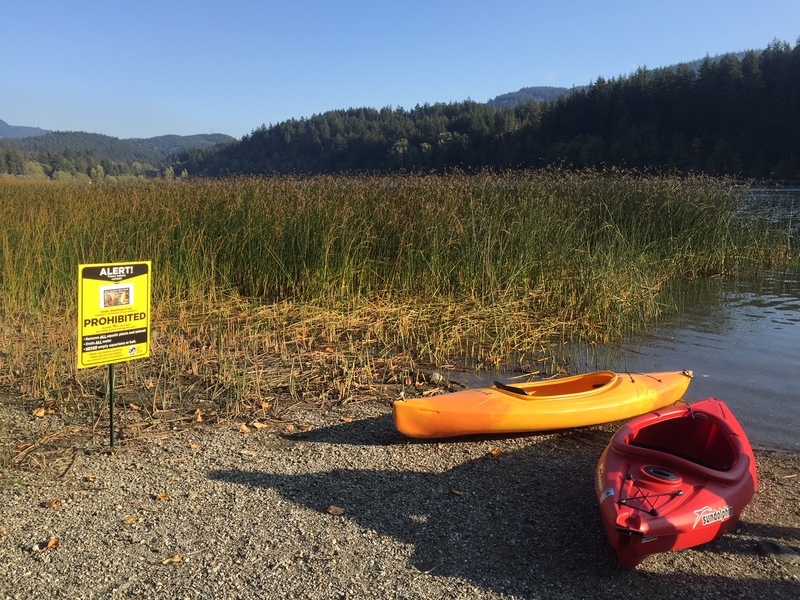 The inspected watercraft came from a total of 256 different water bodies in 19 different states or provinces prior to launching at Lake Whatcom or Lake Samish in 2016, including eight mussel infested waters. 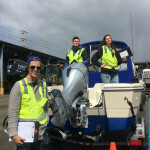 As watercraft continue to arrive from high-risk waters, the Whatcom Boat Inspection Program remains an important defense in the protection of our local waters. 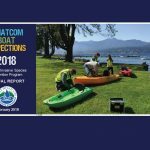 The 2016 inspection results can now be viewed using an interactive online Story Map that shows the last water body visited by boats entering Lake Whatcom and Lake Samish. We decontaminated three boats that had recently been in mussel-infested waters and found 140 boats with vegetation and another 201 boats with standing water on board that required some additional attention. Our inspectors used these situations as an opportunity to educate boaters about the importance of cleaning, draining, and drying their boats between every use. More detailed results from the 2016 boating season can be found in the Whatcom Boat Inspections 2016 Annual Report and by viewing our interactive Story Map.